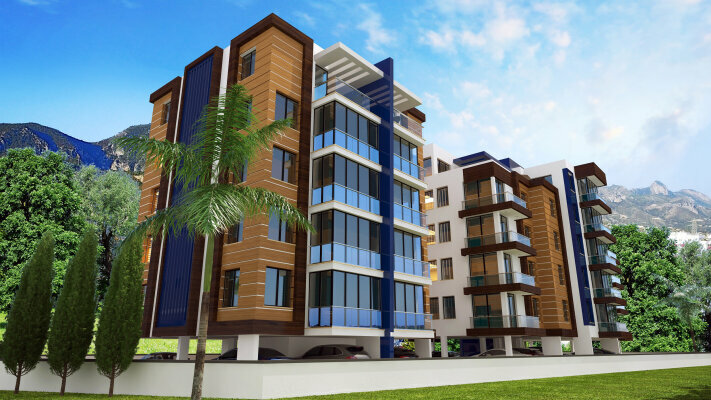 High quality two bedroom apartments in the heart of Kyrenia. The apartments are located in the heart of Kyrenia, from where within walking distance there is all the necessary infrastructure, ranging from shops to 5-star hotels. This makes the purchase of apartments in this area a great investment since the apartment in such a location is very well rented by tourists almost all year round. All materials and finishes of high-quality apartments. Luxury kitchen furniture.